scrap of fabric which i liked but hadn\'t found a use for . 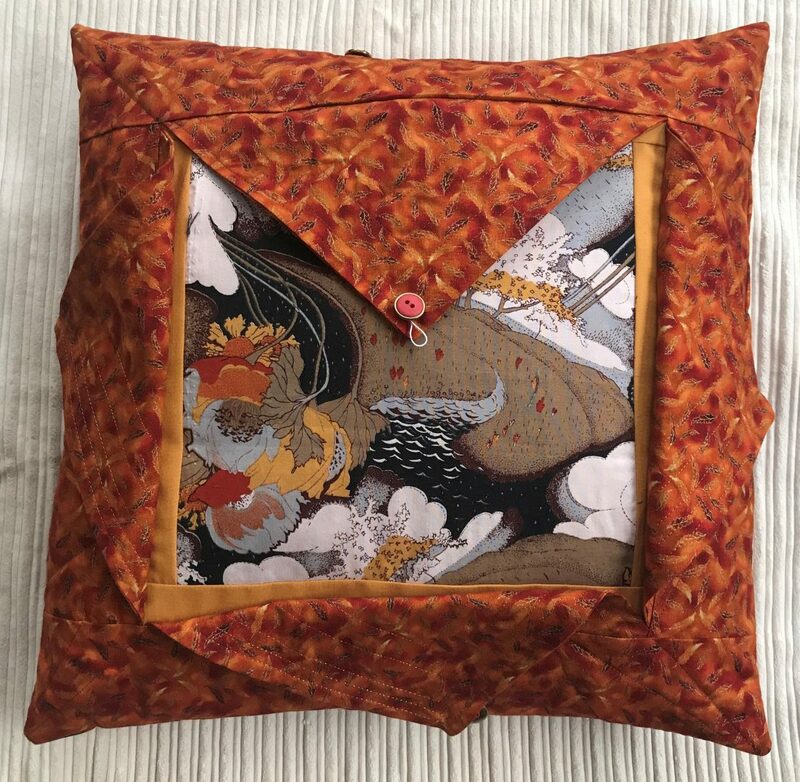 Picked up the ochre for the immediate surround and then used the red/orange/gold/ fabric for the cushion . Decided to slightly skew the points to add interest. Excellent use of the print fabric centre and really effective colour choices. Love it! Linda. Thank you for your lovely comment . The centre was one of those scraps which was a shame to cut because it was so beautiful . I am so gtateful to you for providing a solution that is practical .